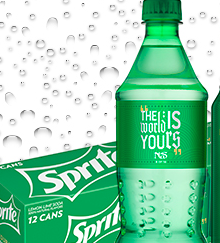 AWESOME>>> If you use My Coke Rewards, check out this freebie, valid while supplies last! Earn 30 My Coke Rewards points when you download the Coca-Cola Freestyle app to your phone! You’ll need to sign into it using your MCR e-mail address to get your points. If you’re a MyCokeRewards member, hurry over now because you can score a 12-pack of Coke for only 30 points!!! Only 1 per membership, but still…sweeeeet!!! If you’re a My Coke Rewards Member, you can add 15 more points to your account! Just use the code FIFA16 once logged in to score your FREE 15 Points. Starting November 16th, My Coke Rewards will be offering up double points on select Coke fridge packs (Diet, Coke Zero, and Coca-Cola)! If you’ve got any fridge packs laying around, be sure to enter the codes in during this promotion to get double points. Awesome! 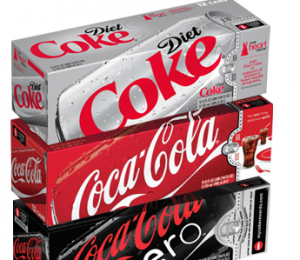 Now through October 30th, My Coke Rewards is offering up double points on select Coke fridge packs (Diet, Coke Zero, and Coca-Cola)! If you’ve got any fridge packs laying around, be sure to enter the codes in during this promotion to get double points. Awesome! My Coke Rewards members, listen up! Starting July 20th (through the 26th), My Coke Rewards will be offering double points on ALL Sprite codes! So if you’ve got any laying around, don’t enter them in until this promotion is live. My Coke Rewards members, listen up! Starting June 8th (through the 14th), My Coke Rewards will be offering double points on ALL Sprite codes! So if you’ve got any laying around, don’t enter them in until this promotion is live. Sounds good! For every 6 Minute Maid My Coke Rewards caps you enter on My Coke Rewards, you’ll be able to earn a FREE Movie Ticket (up to $13 value)! 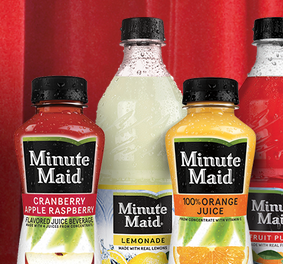 The codes must come from 15.2oz or 20oz bottles of Minute Maid. You can earn up to FIVE FREE Tickets before June 30th. Starting March 11th (through the 13th), My Coke Rewards will be offering double points on ALL cap codes! So if you’ve got any laying around, don’t enter them in until this promotion is live. Sounds good!